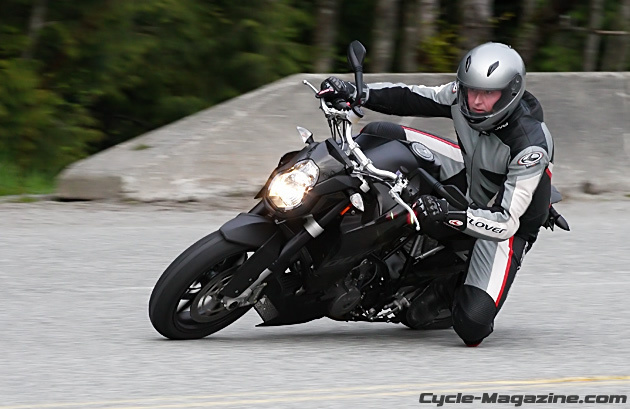 Time flies when you’re having fun, and the KTM 990 Super Duke is a lot of fun. Our three weeks of testing, which has been punctuated by other bikes like the Benelli TNT 1130 Café Racer and BMW F800S, is almost up. Some bikes we return without a second thought, but the KTM is not one of them… Honestly, I keep intending to shoot video but end up smiling, laughing, and riding instead. KTM what have you wrought on my productivity? I wonder if they’d notice if we kept it a little longer… until the spring rains end at least?